WARNING! THIS ARTICLE CONTAINS MASSIVE SPOILERS! Earlier today Warner Bros. released the first of what we must all assume is many, many deleted scenes from the controversial film that is Batman V. Superman: Dawn of Justice. If you've seen the film, than you will understand what I mean. Having seen the film twice now and planning to see it for a third time, I can tell you the "editing" is this films biggest flaw. I'm hoping that Zack Snyder's Ultimate R-Rated Cut of the film fixes a lot of those crazy cuts during the film. The Ultimate cut is said to have 30-plus more minutes of deleted footage. Anyways, with all that said, this new deleted scene doesn't really seem to help fix any of the crazy cuts in the film or answer any of the film's many unanswered questions. The deleted scene that has been revealed actually leaves us asking more questions than before. 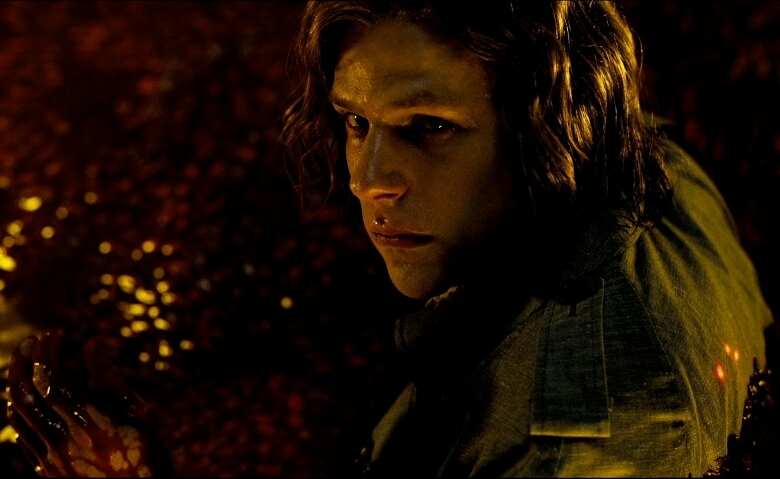 The scene below show's Jesse Eisenberg's Lex Luthor about to be taken into custody, right after he's seen talking to some kind of alien creature that may or may not be a henchmen of the evil character known as Darkseid. Check it out for yourself below and sound off in the comments with your theories and thoughts. Batman V. Superman: Dawn of Justice is currently playing theaters everywhere.